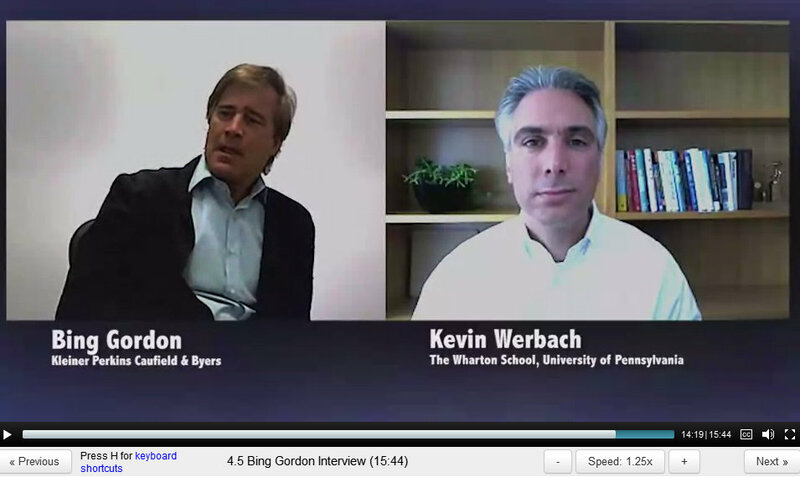 PHILADELPHIA, 9 September –- Gamification with Kevin Werbach of the University of Pennsylvania’s Wharton Business School, Week 2! 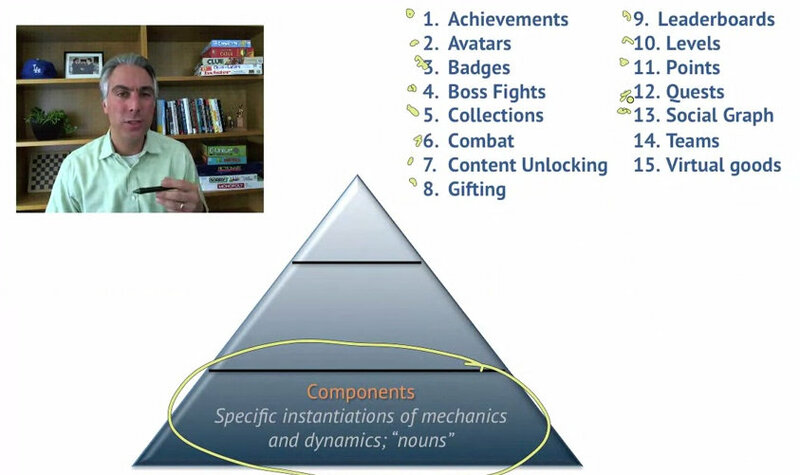 The raw materials of games and gamification are called game elements. 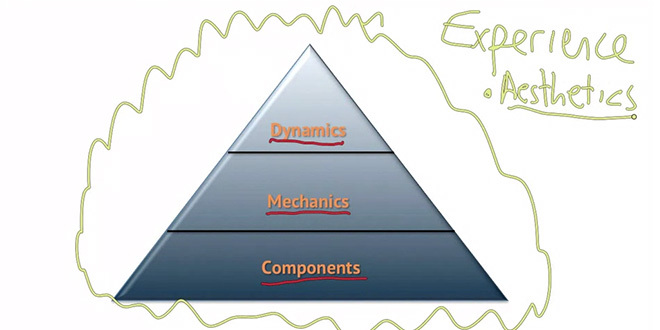 We’ll earn how to break down a game into its constituent parts and apply them to create gamified systems. 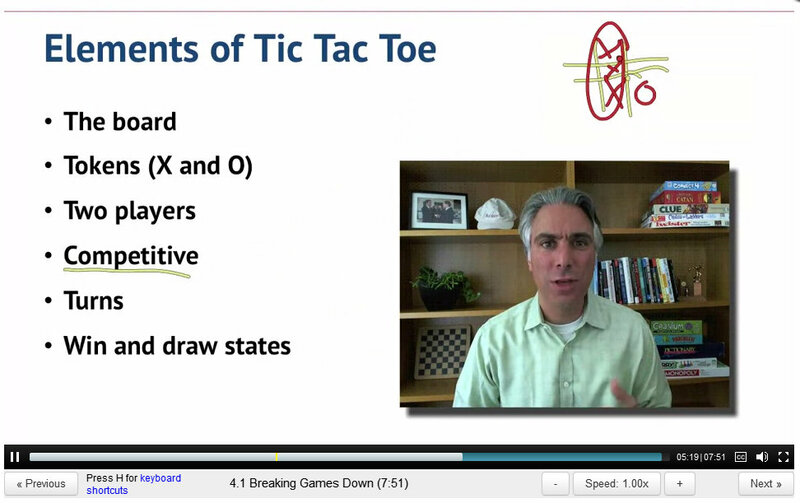 Tic-Tac-Toe – what are the regular patterns, pieces, that come together with aesthetics and overall experience that make up the game play? 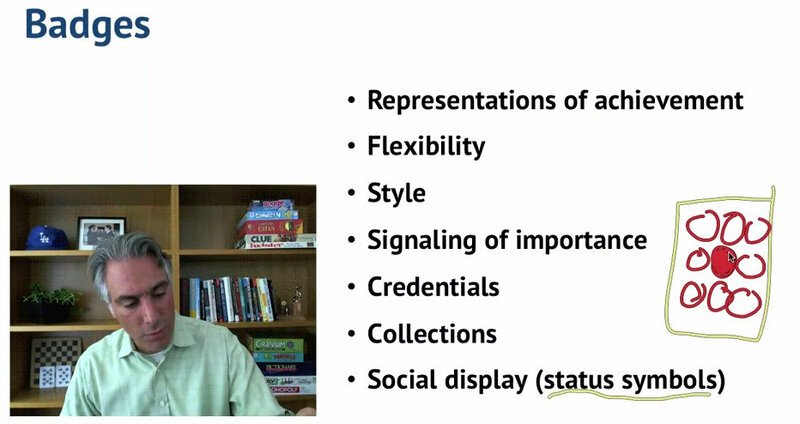 Here we’re focusing on generic patterns. 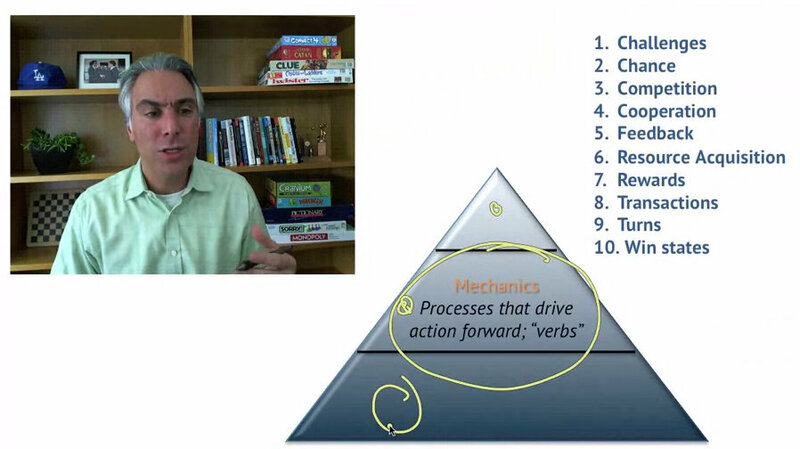 A fundamental attraction to using these elements in gamification. Most of the common examples like Samsung Nation have PBLs at their core. What functions do they serve? 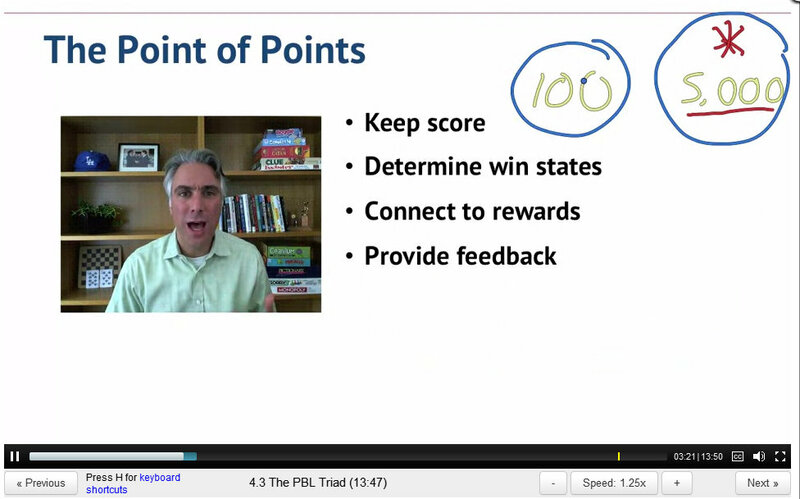 They’re not everything – gamification shouldn’t start and end with PBL. 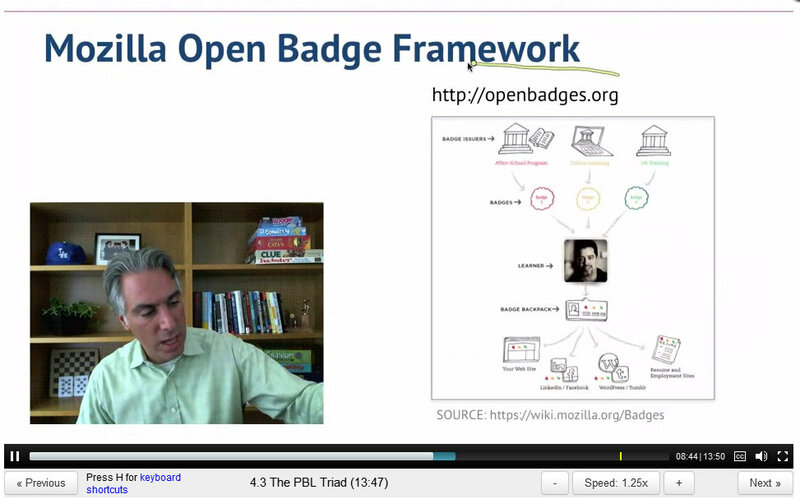 >> Mozilla Open Badge Framework – how do you credential? Leaderboards have been shown in many studies to demotivate – can make people less willing to engage – focuses too squarely on zero sum game. Many companies think that just throwing game elements is enough. Elements are a starting point but not the entirety of what you need to do. • The elements are not the game. Alone they don’t guarantee success. They’re at the base of the pyramid, they don’t tell you that the experience is engaging. • Not all Rewards are fun / Not all fun is rewarding. Don’t obsess on PBL in lieu of TRUE Engagement. PBL can lead to Cookie Cutter feeling. (bad) Example: Google News Badges – don’t truly seem to motivate. Just get a badge for looking at a bunch of, eg, Basketball or Politics articles. • Mastery? – is there really a pathway to true competence? or just a staircase? 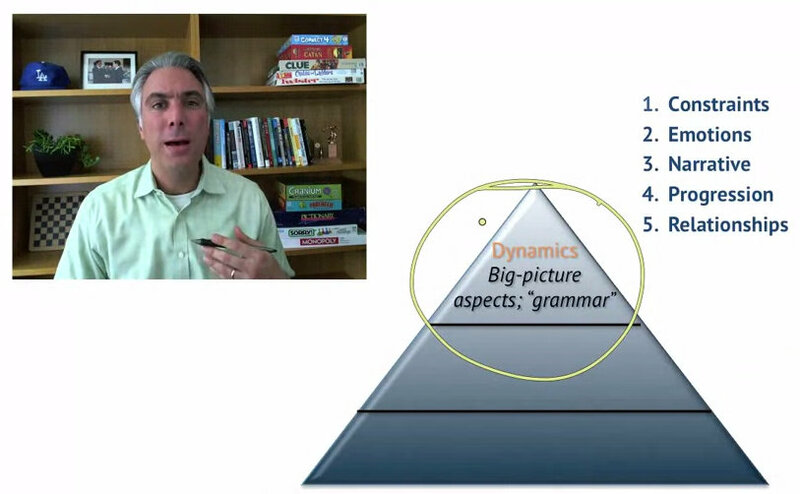 Principles of games – using numbers and mechanics to improve motivation – been going on for a long time – how many FB / Twitter friends you can get. Play is the great accelerator of human culture. Going to put a lot of pressure on assembly line education business. Gaming was invented by high potential kids who were bored of lectures. Being bored with lectures is a good indicator of future success.